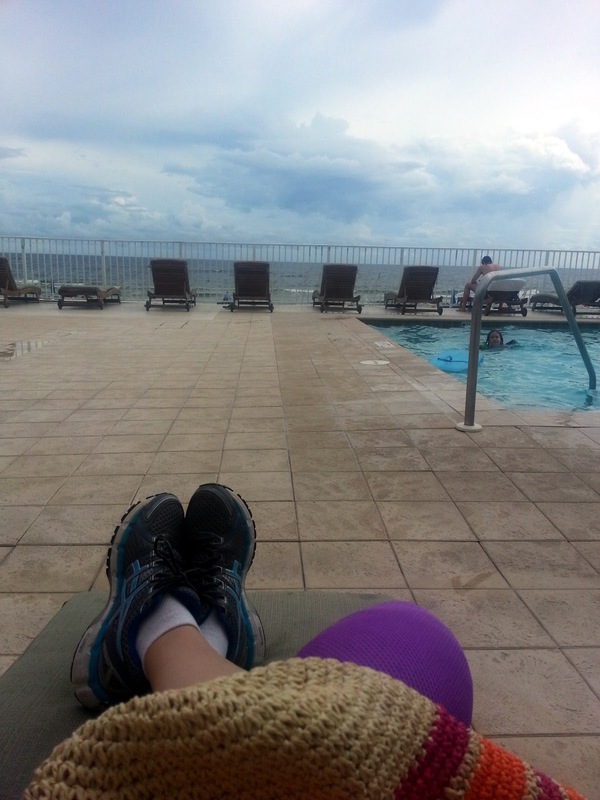 It was nice to get away, even if I was the only bald chick on the beach or at the pool. Where were you other cancer patients?!?! Apparently, not at the beach with me. I did get a few funny looks and possibly a stare or two, but that was not going to stop my vacation. See my feet... I was there. Chillin' with a pool & beach view! While I was not up to my non-cancer normal vacation busy activities - I had fun. Naps were required. Early bedtimes were sometimes necessary. And some fever reducing medicine were taken a time or two. I may not have been my normal self, but I was going to make myself get up and go enjoying the beautiful scenery and company. The beach was manageable due to my families help. They carried items to and from the beach - setting up an umbrella and chair for me. I was glad that I brought a portable chair because I did not have to get up or down from a low beach chair or a towel. And trust me, if I had gotten that low I might not have ever gotten back up. Not my chair, but you get the idea. Overall, I was pretty impressed by my ability to make a daily trip out and about. I got into the ocean once. I got into the pool more than once. I walked the beach a few times. I went to trivia night, even though I provided no help and my chemo brain was in full swing. I was delighted that I was as mobile as I was. Having that desire to do things and keep pushing myself has worked well for me and kept me in great spirits throughout it all. During the trip, it was mostly about watching the kids have fun on vacation. All summer they have been held hostage from fun because of my cancer. We have not really done any normal or exceptionally fun activities. Their typical summer had been pretty much spent around what I could or could not do. So, it was great to watch them enjoying the fun and freedom of summer (in an almost cancer-free way). 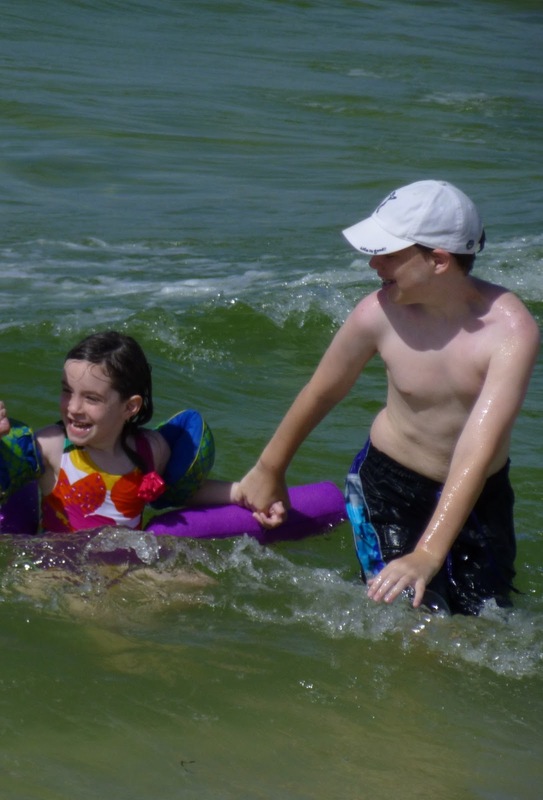 Kids having fun in the ocean! Smiles are priceless!!! The concerns of the nurses and doctors that I would fry my head were unwarranted. 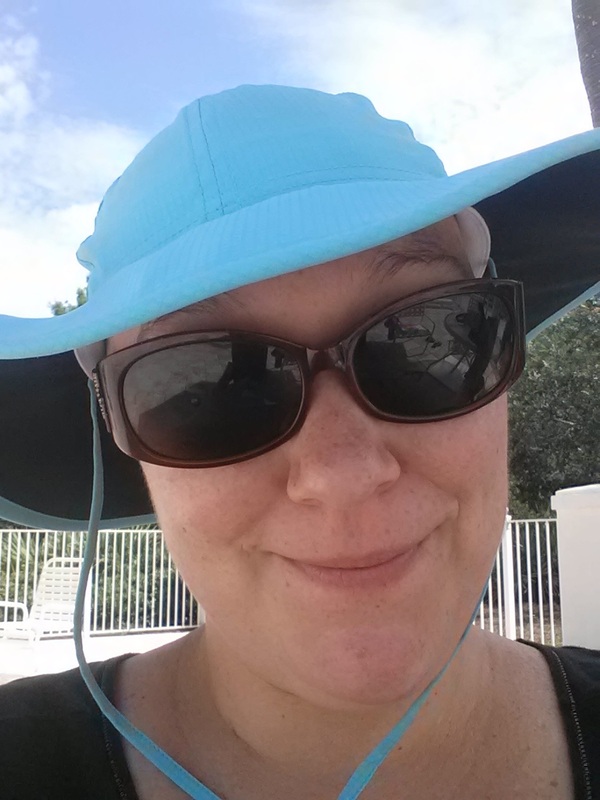 I wore my UPF 40 hat and sunscreened my bald head. Not only did I not get any sun on my head, it stayed perfectly white while my face got some sun. Not exactly a great look for me, but better than a burnt noggin! However, the hat I purchased worked wonderful and it was super light-weight. I got the Colombia Women's Sun Goddess Booney hat, it was breathable, waterproof, and actually fit snug (which was good because I am bald). Highly recommend if you need to keep your head covered in comfort! 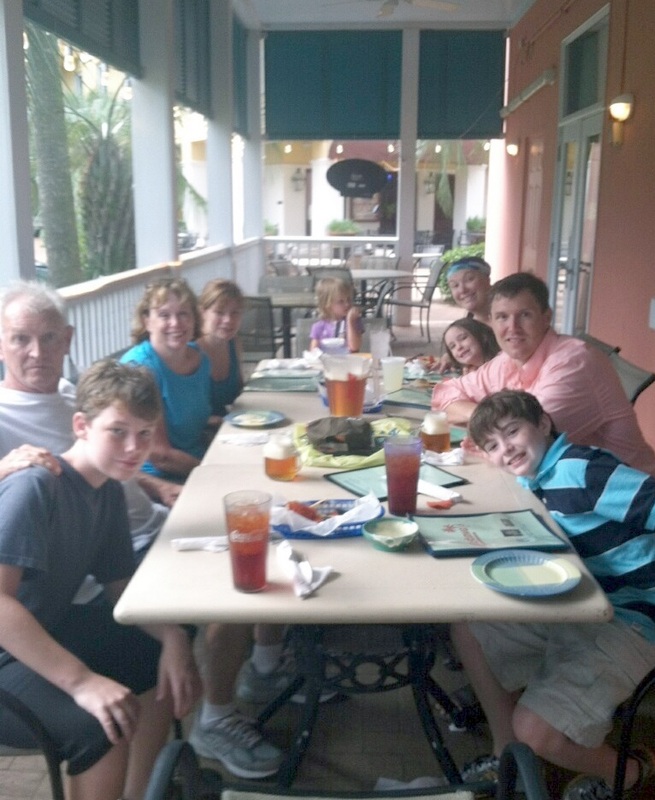 But more than visiting the beach and pool, I got to hang out with my family. We celebrated my parent’s anniversary and my mother’s birthday during our week trip. It was the first time some of us had seen each other since I started my chemotherapy treatments. The only drawback was that my husband stayed home to work and I wish he could have been there for all the good fun and food. My family, minus my working man! I am not sure how many people opt for vacations during their cancer treatment, but I was glad I did. I was really lucky that the trip was planned between my two chemotherapies - it just happened that way. While the driving to and from the beach was physically demanding and painful, it was worth it. Even though it added some additional issues, it was not anything more than I have already dealt with. I could be uncomfortable at home, in a car, or on a beach… I think the beach was the better option. Nothing like a break from your world. Nothing like the laughter of your family.